If you are an overweight parent to a newborn child, you may want to find a glider and ottoman which will be comfortable and safe for your needs. Some gliders and ottomans are too narrow to allow a wide waist person comfortable positioning. Some new moms have extra weight left from the pregnancy, or some may be already pregnant and have a small baby at home. For these mothers a rocker gliding chair may be too dangerous to use, for it might be too narrow to sit and stand with a baby in their arms. Not every glider chair can handle a large mother’s weight. You need to look for sturdy gliders which are made out of heavy wood or even metal framings. Delicate designs might not be able to carry the overweight mom (or dad) and rock safely. Do not under estimate the weight and movement factors, they can wreck a glider because unlike a regular rocking chairs most of the weight is placed on the joints of the moving parts. There are some easy tips to follow, which will help you avoid the disappointment of purchasing a petite glider compared for your needs. 1. Look for sturdy furniture. 2. Prefer a metal base glider upon a wooden glider set. Metal can usually carry more weight than wooden furniture. Cheap gliders are made of “other wood” which is not the best material for heavy people. Some of them are made in “China”. 3. Read the customer reviews, do not be tempted to buy a cheap glider & ottoman set. Foe example the best selling glider at amazon is Stork Craft Hoop Glider and Ottoman ($129) but many people complained that it squeaks. If it makes squeak noises carrying ordinary weight, it might crack when rocking overweight people. 4. Check the width of the glider, note that they all have inner cushioning. If the outer width is too narrow, with the pads and cushions it will be impossible to fit in. Deluxe Swivel Glider and Ottoman in Beige Leatherette – 28-1/2″ wide. From all the rocking gliders we have searched for, the Newco International Grand Glider has the highest recommended weight capabilities. The Newco International Grand Glider has: 24 inch inner seat width and maximum weight recommendation 300 Pounds! This entry was posted in Baby Safety At Home, Gliders & Ottomans and tagged Baby safety on Glider, Breast Feeding In a Glider and Ottoman, Glider & Ottomans For Overweight Parents, Safety Tips For Rocking With Baby on Glider with Ottoman by dekel. Bookmark the permalink. 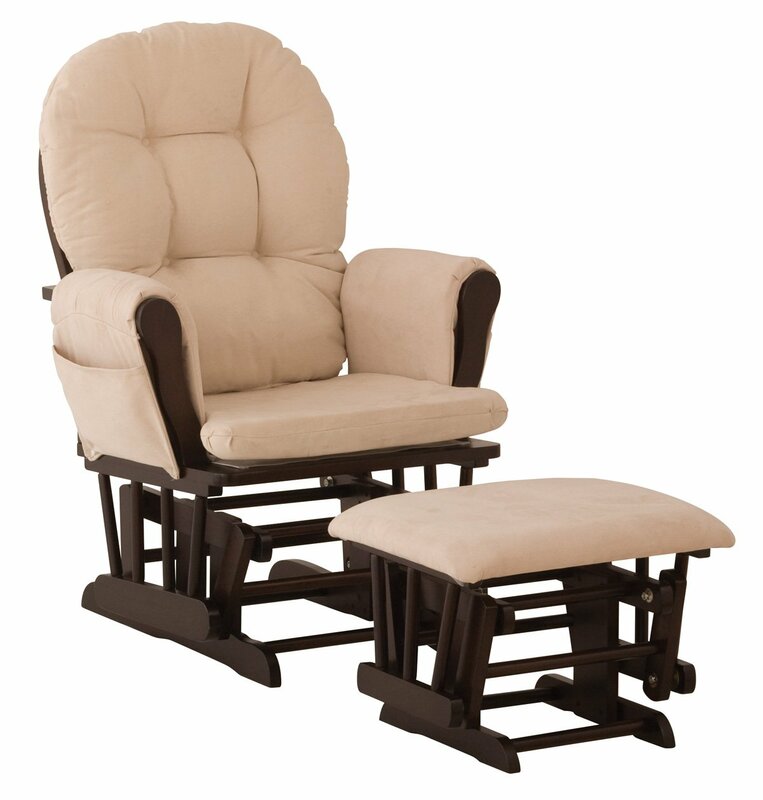 ← Previous Previous post: Are Dads Allowed On Mom’s Glider & Ottoman Set?